So read the opening of Dorothy Johnson’s short story, “The Man Who Shot Liberty Valance.”(1949) To the true western aficionado, the opening should sound familiar. But yet it differs considerably from the story adapted by Hollywood writers and made into a movie starring Jimmy Stewart, John Wayne, Lee Marvin and Vera Miles. Along with “The Man Who Shot Liberty Valance,” Dorothy Johnson’s “The Hanging Tree”(1957) and a “Man Called Horse”(1949) became successful western films. Even though Johnson approved of the movie scripts, and was somewhat of an advisor during the filming, the movie versions of her short stories lose some of the realistic, and at times dark nature, prevalent in most of Johnson’s writing. Hollywood’s adaptation of Dorothy Johnson’s stories reaffirmed the mid-twentieth century romantization of all things western, an image that defined western expansion in the American mind for many decades. But in her stories, Johnson presented the West as a tough unforgiving place occupied by desperate people who had hoped to better their condition by moving westward. It is ironic that while Johnson strove to create a realistic West for her readers, Hollywood changed the very elements in her stories that gave the West authenticity. Dorothy Johnson was born December 19th 1905 in McGregor Iowa. When she was six years old her family moved to Montana, first settling around Great Falls but eventually moving to Whitefish in northwest Montana. After high school graduation, Johnson studied creative writing with English Professor H.G. Merriam at the University of Montana in Missoula, graduating in 1928. But like many writers, instant success was not in the cards. After graduating from college with a Degree in English, she held various office jobs in Washington D.C. and worked for a publisher in New York City for fifteen years. She worked by day and wrote by night eventually selling her first short story in 1930 to The Saturday Evening Post for $400.00. But, it was another eleven years before she sold another story. Johnson returned to Missoula in 1950, where she worked as a secretary-manager for the Montana Press Association, a teacher in the School of Journalism at the University of Montana, a speaker, and a writer. Recognition for her work came in 1959 when Hollywood bought the rights for two of her short stories, “The Hanging Tree” and “The Man Who Shot Liberty Valance.” During her sixty-year writing career, Dorothy Johnson wrote 17 books, 52 short stories, and countless articles. “The Hanging Tree” was the first of Johnson’s stories to be made into a movie. The story written in 1949 is about the desperate life of characters in a nondescript mining town in the Old West. The story opens with Doc Frail,( played by Gary Cooper) on foot, leading his horse into Scull Creek. The trail leads him under “the out thrust bough of a great cottonwood tree.” Doc immediately noticed a rope hanging from the tree: “his muscles went tense, for he remembered there was a curse on him.” As the story evolves the reader finds out that Doctor Joe Frail was, in really, Dr. Joe Alberts; a man embittered by a scandal in Missouri involving his wife and his brother. The reader is to believe that whatever happened in Missouri it made the doctor cynical; he saw only the worst in men. Road agents held up the stage and shot the father and driver. The gunshots spooked the horses resulting in a run-away stage with Elizabeth inside. Three days later a search party found Elizabeth, the lost lady, in the desert blinded from the sun and dying of thirst. Her rescuers took her to Scull Creek, where Doc Frail helped her to recover her sight. The ordeal caused the lost lady to lose her self-confidence; she would not leave the security of her cabin. But Doc Frail, now in love with the woman, believed that Elizabeth needed to leave Scull Creek, a place not suited for her or any “civilized” person. The Lost Lady became an object of the town’s gossip, especially her association with Doc Frail, who never endeared himself to the town’s people. The story climaxed over the inflammatory rhetoric of an itinerant preacher who used the town’s gossip to incite the crowd against “sinful” behavior. Doc, hearing the preacher’s ranting about Elizabeth, confronted him and when things got out of hand, Doc killed the preacher. The angry crowd hauled Doc to the hanging tree. These circumstances forced Elizabeth to leave her cabin and walk through the gathered crowd at the hanging tree. She boldly stepped forward out of her closed-in world to offer the men holding the rope all of her gold (gained from an investment in a gold mine) if they would free the doctor. They agreed. In the end, Elizabeth helped herself by helping the doctor. The movie version the “The Hanging Tree” (1959) differed considerable from Johnson’s novella; the characters are not depicted as forlorn and desperate. In the opening scene, the viewer sees the hustle and bustle of wagons, horses and people. All against a back drop of Mountains and a rushing stream. The immediate impression is of a successful progressive West, although the limb of the dead cottonwood tree dominates in the foreground as if to foreshadow events to come. The most apparent change between Johnson’s story and the movie adaptation is the transformation of the characters. 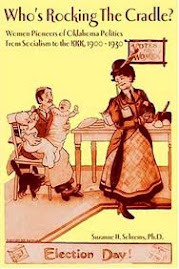 The female character, Elizabeth, is not the sad helpless female depicted in the original story. In the movie version, Elizabeth is the image of a pioneer woman; she is strong and showed her independence when she invested in a gold mine and worked along side her partner, Frenchy. She asked that he treat her like a man. But, Doc had to come to her rescue when she was attacked by Frenchy, who made no secret of his attraction to her. When Doc heard her scream, he raced into the cabin and shot Frenchy. (In the novella, Doc shot the preacher). The town’s dislike for Doc, along with the venomous rhetoric of the preacher, produced an angry mob, who marched Doc to the hanging tree. The ending is the same as in the Johnson’s short story; Elizabeth bought Docs freedom with gold produced from her partnership in the mine. In “ The Man Who Shot Liberty Valance,” and “A Man Called Horse,” Johnson used a familiar construction that was typical of the western genre of the 1950s; easterner goes west and ultimately wins against the savage nature of people and environment. But, Johnson’s resolve is quite different. In Johnson’s stories the harsh nature of western society defeats the civilizing agents as is represented in her male lead characters. Ransome Foster in “The Man Who Shot Liberty Valance” was an educated Easterner from a wealthy family, who escaped to the West after quarreling with the executor of his father’s estate. 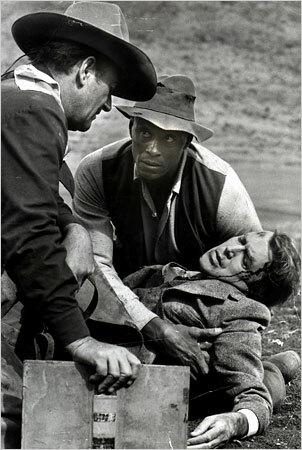 Johnson depicted Foster as a weak unworthy man who was full of self-doubt and lacked what it took to survive in the West. Two other main characters, a waitress named Hallie, and her somewhat worthless boyfriend, Bert Barricune, are portrayed in contrast to the greenhorn, Rance Foster. When Barricune found him on the prairie, Foster was indeed a tenderfoot. In his boots there was a warm, damp squidging (sic) where his feet had blistered, and the blisters had broken to bleed. He was bruised, sunburned, and filthy. He had been crawling, but when he saw Barricune riding toward him, he sat up. He had no horse, no saddle and, by that time, no pride. Begrudgingly, Barricune offered Foster a hat full of water, a bedroll, and food, but then left the tenderfoot to fend for himself. The two met again in the sheriff’s office three days later, after Rance Foster walked into town to lodge a complaint against those who attacked him. The Sheriff, however, saw no crime and dismissed the matter. Foster then saw that he would have to be the one to kill Liberty Valance. This realization seemed to change him. Johnson depicted Foster as a pathetic character filled with hate. He was, “haughty, condescending, and cringing all at once. He spoke with a jaunt sneer as if he expected to be kicked.” To survive he begged for food or stole it off the plates of others at the Elite Café, where he met Hallie. The waitress had sympathy for Foster and helped him to get a job. She also suggested that he start a school; she was one of his students. shot Liberty Valance so that Rance could bring law and order to the West, and steal his girl in the process, Doniphon shared the hero status with Stoddard. Dorothy Johnson was known for her meticulous research, this was especially seen in her stories about Native Americans. 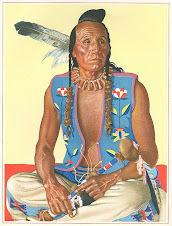 “A Man Called Horse,” is one of her many stories that centered on Native American life. He heard gunfire and the brief shouts of his companions around the bend of the creek just before they died, but he never saw their bodies. He had no chance to fight, because he was naked and unarmed, bathing in the creek, when a Crow warrior seized and held him. His captors let him go at last, let him run. Then the lot of them rode him down for sport, striking him with their coup sticks. They carried the dripping scalps of his companions, and one had skinned off Baptiste’s black beard as well, for a trophy. Just how fitful her temper was he saw on the day when she got tired of stumbling over one of the hundred dogs that infested the camp. This was one of her own dogs, a large, strong one that pulled a baggage travois when the tribe moved camp. Countless times he had seen her kick at the beast as it lay sleeping in front of the tepee in her way. One day she gave the dog its usual kick and then stood scolding at it while the animal rolled it’s eyes sleepily. The old woman suddenly picked up her axe and cut the dog’s head off with one blow. Over time, the white man learned the Crow language and understood that he needed to acquire status in the tribe if he was ever to escape. His opportunity came when he was playing “hunting” with the young boys. Away from camp they came upon two Indians from an enemy camp. The white man was the first to kill the men, count coup, and take their horses. It pleased the people back in the Crow camp that the white man had shown the bravery of a warrior--With this new status, the while man’s conditions improved. By the end of the story, he is in high regard, and he found that he now had what he needed to leave the Crows. But, he could not bring himself to leave Greasy Hand; she had lost all her sons in battle; she had no one to take care of her. In the Crow culture, an old man or woman who had no relatives, and who could no longer take care of themselves, would be cast aside, no food, no lodge, and no protection. The white man was Greasy Hands only provider. 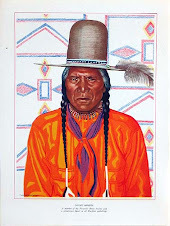 He stayed with the Crows until she died, then he left and traveled back to Boston where he said very little to any one about his time in the West. 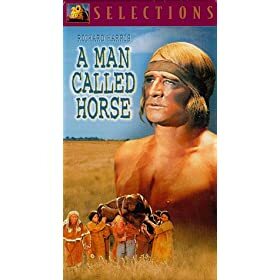 The Movie version of “A Man Called Horse” filmed in 1969 closely followed the book in depicting Crow Culture. It is so realistic that it is difficult to imagine that the movie would be filmed with such authenticity today. Without the book narrative, cultural rituals are little understood and subsequently reinforce the nineteenth century view of the savagery of Native American Society. For example, the movie depicted the barbaric ceremony practiced by the Crows that celebrated a young man’s bravery, and their ability to receive a vision. In the movie scene, Crow men prepared the easterner( Now from England, played by Richard Harris) by piercing his chest with sharp sticks. Then a rope is lowered from the Lodge smoke hole and tied it onto the “skewers” in the man’s chest. The rope is pulled upward suspending the man while participants take turns swinging the body back and forth. The viewer flinches with the thought that the skin is being ripped apart as the man swings. The ceremony tested of the man’s strength to withstand the pain, and receive visions, his success initiated him into the tribe. As a member in good standing, he could now find a way to leave and return to his home. But, he stayed to protect the old woman. At the end of the story, he rode off into the sunset with the other warriors; the viewer is left with the impression that he prefers Crow society to the one he left in England. Hollywood recast the easterner, now Crow Warrior as the hero. Besides these three stories, Dorothy Johnson wrote two other books of note, The non-fiction, The Bloody Bozeman,(1971) and the novel, Buffalo Woman. 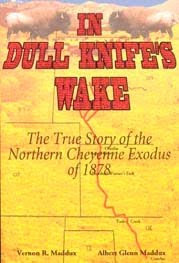 (1977) In both books, Johnson utilized her understanding of Native culture to write excellent accounts of the conflict between two cultures, and the effects of conquest on the Native people. In The Bloody Bozeman, Johnson detailed the reasons and logic behind the creation of the Bozeman Trial, the short cut route that left the Oregon Trail around Buffalo Wyoming and traveled north to the Montana gold fields. 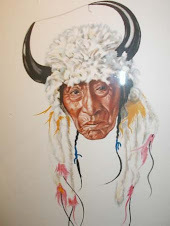 Unfortunately for many pioneers and military, the trail went through the Powder River Country, the favorite hunting grounds of the Cheyenne and the Sioux. The clash of two cultures over occupation of the Trail and the Powder River Country ultimately forced the United States government to close the trail and abandon the three military forts. And, finally, Buffalo Woman. Not only is this book an excellent narrative of Native culture, it chronicles Indian life during the transition from an independent people to a dependent and dispossessed people on the run. Dorothy Johnson received the prestigious Spur Award from the Western Writers of America in 1956 for Buffalo Woman. Dorothy Johnson’s West little resembled the West created by writers who adhered to the Western Genre of the 1940s and 1950s. 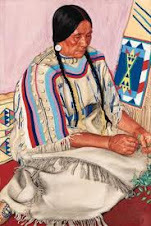 Her research and knowledge of the West helped her to create realistic stories, where there were few heroes and where conflict with Native Americans bought out the worst in men, Red or White. Nice job. I knew of Johnson's connection with "Liberty Valance" as author of the original story. Being familiar with both story and film, I also knew about the "liberties" taken to preserve Hollywood myths about the West. I appreciate your filling readers in on the rest. My sense of Bert in the story is that he's well adapted to the frontier environment and not dissimilar from the cowboy hero Owen Wister created in The Virginian. The irony is that his time quickly passes as the "settled" West replaces the "old" West, and he dies as a forgotten man. The movie gets this part OK.